Higgins Fairbairn & Co was founded in 1986 and has since developed a loyal client base of small to medium-sized enterprises (SMEs) - mainly proprietor-managed businesses. In addition, the practice also acts for UK subsidiaries of large international groups plus private individuals who require independent tax advice and/or financial advice. We offer a broad range of services providing innovative, accessible and practical advice whilst meeting the increasing burden of compliance. We pride ourselves on marrying professionalism and informality and ensure that a senior practitioner is involved in every matter. Higgins Fairbairn & Co is an Approved Training Practice (ATP) for the Association of Chartered Certified Accountants (ACCA). We are proud of the numerous trainees who have joined as affiliates (having passed all the exams) and, after three years of extensive training in all the requisite areas, have become qualified ACCAs. Fenton Higgins and Bankim Patel are the founding partners of Higgins Fairbairn & Co.
Fenton provides business and financial advice to corporate and personal clients. His approach is determinedly strategic whilst always remaining practical. 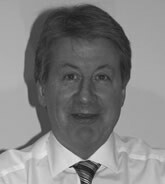 Fenton also takes a leading role on transactional matters such as business disposals, acquisitions, valuations and dispute resolutions. Bankim heads the technical department of the practice. He and his team recognise the increasing burden of compliance and the regulations for: tax, accounting and audit. They continually strive to provide a sympathetic, fast and efficient process that ensures clients meet their obligations with the minimum of intrusion or inconvenience. 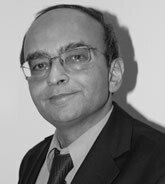 Our sister business which deals with all personal and business financial services, Higgins Fairbairn Advisory LLP, is run by Gianpaolo Mantini AFPS, a Chartered Financial Planner. Through Higgins Fairbairn Advisory LLP we provide a fully independent, fee-based service that encompasses both advisory and wealth management strategies. Higgins Fairbairn advisory LLP is authorised and regulated by the Financial Services Authority (FSA) with respect to financial services.